Christine A. Moore Reflects on Keeneland Breeders’ Cup: Fascinator and hat maker Christine A. Moore works a busy schedule while visiting Kentucky. Today, she spends her time at the upscale fashion store Rodes in Louisville. On Sunday, she takes her business to Keeneland on the gift shop side of the paddock, as the official milliner of the upcoming Breeders’ Cup on Oct. 30 and 31. She stopped for a few minutes to discuss what lies ahead. Christine A. Moore takes her business to Keeneland on the gift shop side of the paddock, as the official milliner of the upcoming Breeders’ Cup on Oct. 30 and 31. But, there is an ironic twist to the event taking place in Kentucky. Encouraging women to dress up and wear fancy headwear started at the first Kentucky Derby at Churchill Downs, when the founder wished to create a nicer environment for all attendees. Higher-class fashion tends to affect how others act, even those not in formal attire. Visitors to Moore’s website will find hats for both men and women. Of course, the ones for women take a touch longer to make because of the extra material. Crafting hats for men poses challenges too. The official Breeders’ Cup color is purple and Christine A. Moore has plenty to offer in the rich hue. What are the colors to think about when buying a hat for next week? Surprisingly, Moore is behind in making her own headwear for the Breeders’ Cup. 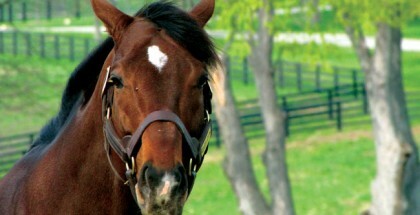 When asked to give her favorite active horse, Moore hesitated to respond. She holds good relations with important people within the industry and does not want to upset them. She went on and admitted Beholder is one of her favorites too. 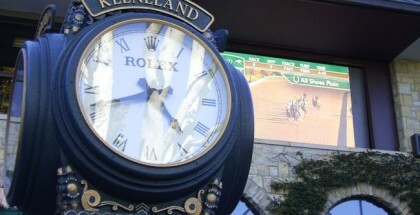 Moore looks forward to the first Breeders’ Cup held at Keeneland in Lexington. 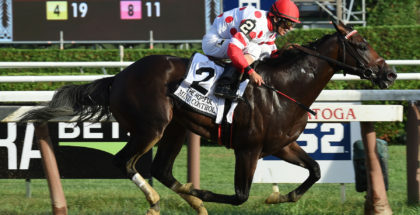 Keeneland and the Breeders’ Cup will offer plenty of magic next week. 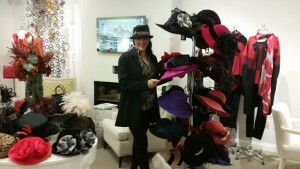 Visit Moore at Keeneland to discuss fascinators, hats or other fashion tips. After spending Saturday at Rodes, she travels to Keeneland tomorrow and plans to set up shop near the paddock every day of the week. 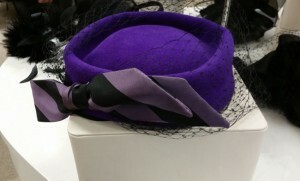 Read more about Moore and millinery at www.camhats.com, or on the Breeders’ Cup website. 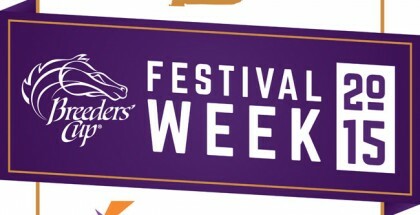 Visit www.breederscup.com and www.breederscupfestival.com for more information on the Breeders’ Cup World Championships, including ticket information and city-wide events.